A $400 billion proposal for single-payer health insurance is making its way through California legislature, but some worry that it would be too cost inefficient because it relies on the old fee-for-service system for paying doctors and hospitals. The plan: Any resident of California would be eligible to receive coverage without copayments, premiums, or deductibles — no matter their employment, immigration status, or age. And under the "Healthy California Act" patients would have the freedom to see any medical provider for any service. Why it matters: Most health care experts agree that fee-for-service medicine — where doctors and hospitals are paid for every test and procedure — encourages unnecessary medical spending, and the trend has been to try to move away from it. More money, more problems: The bill isn't cheap. Coming up with $400 billion each year to maintain this bill would be difficult, considering current government funds allocated to health care coverage would only cover approximately $200 billion. The rest would inevitably have to come from taxpayers' checks, which would be a hard sell for politicians to make to their constituents. What they're saying: The bill's authors argue that it wouldn't entirely return to the traditional fee-for-service rules; rather, they hope to use managed care and urge health care professionals to provide preventative services to patients. Ricardo Lara, a California senator and sponsor of the bill, said he has heard the various concerns with it and is now looking outside of the U.S. to see how other countries with single-payer systems control their costs.The other side: The Senate Appropriations Committee released an analysis of the bill (which supporters hope will receive a Senate vote this Friday) that expressed skepticism over some of its more nuanced details — particularly the idea that patients can see any provider they want without a referral. 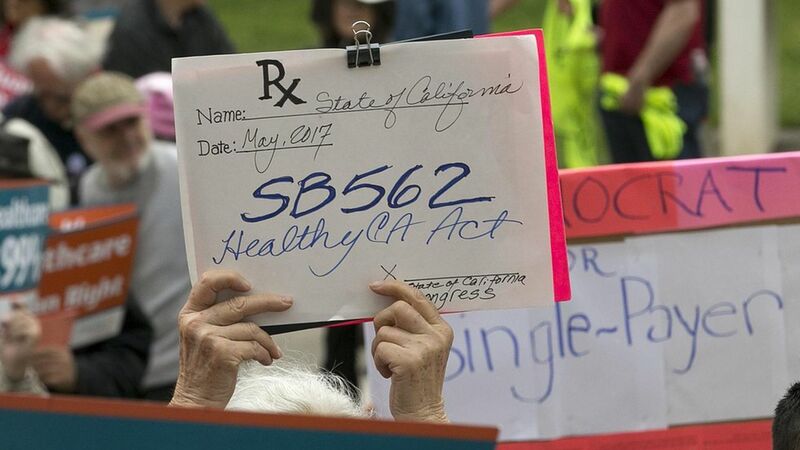 Similarly, the report questioned the bill's ability to control costs via allowing "health care delivery systems can choose to be paid on a capitated basis," per California Healthline.